What Is The Isle Of Storms? The Isle of Storms is our gateway to New Britannia. What that means is, all Outlanders coming from the old world, arrive here in the Isle of Storms where they are met and must first speak with Arabella. After speaking with Arabella, the next stop is the mirror and this is where Outlanders transform themselves from ghost or spirit form into something physical. The next stop after the mirror is the Oracle Confirmatory and inside is the Oracle. To continue forward, Outlanders must answer a series of questions and these questions will determine their place in the world of New Britannia. From the Oracle Confirmatory, the path will eventually take Outlanders to the Lunar Rift which will take them to their respective starting areas. Basically, the Isle of Storms is Shroud of the Avatar's version of creating a new character. Instead of the traditional and more familiar character creation screens, Shroud of the Avatar has a more story driven way of creating a new character. 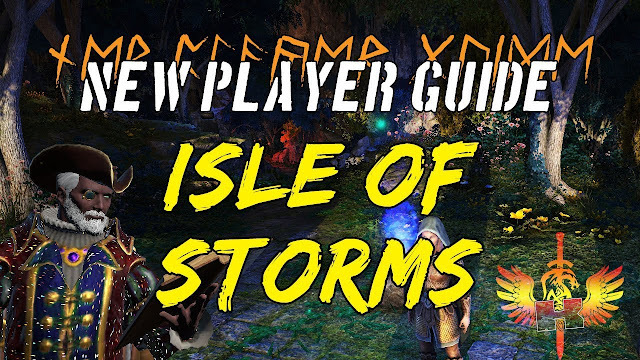 Anyway guys, what do you think of Shroud of the Avatar's Isle of Storms? Post your answers as well as your comments, questions or reactions in the comments section below.